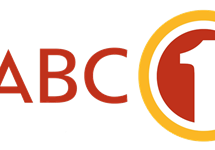 SABC1 is a public service South African television channel broadcast by the South African Broadcasting Corporation (SABC) which carries programming in English and Nguni languages. It was created in 1996, after the SABC restructured its television channels. 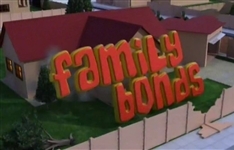 SABC1 carried much of its programming over from the defunct CCV (Contemporary Community Values) channel, which was itself made up of the old TV2, TV3 and TV4 channels created in the 1980s. SABC1 generates the widest audience in South Africa. The SABC's head office and studio is based in Auckland Park, Johannesburg and they also have offices in Cape Town. 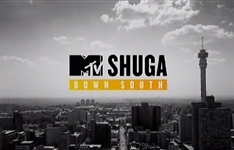 The slogan for the channel is "Mzansi Fo Sho" (Truly South African), having previously been "Simunye - We Are One" (the original channel slogan) and "Ya Mampela" (established in 2003, which loosely translates to 'for real'). It seeks to inspire the youthful Mzansi world. Offers a point of view on how we should feel about being a youthful minded South Africa. Describes a brand that is grounded and Living In Mzansi. Implies direct relevance and ownership. the Brand, you feel in the know, and part of the exciting things of the world of Mzansi. Mzansi fo sho deeply roots the channel as a truly South African brand. It is proclaimed only with the confident affirmation that comes with being youthful and certain of our identity. It re-enforces SABC1 as being the authority when it comes to staying on the cutting edge of local content and delivering it, in accordance with SABC1's programming strategy going forward. This bold and confident statement has legs to live in a competitive environment and SABC1 is able to stand out among a host of other channels as the representative of programming and a lifestyle that is authentically and youthfully South African; and own that claim. 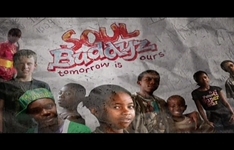 Beyond that: music, fashion trends, if it's uniquely South African and youthful, SABC1 has automatic affinity. The Now Generation is the young fibre of South Africa. They are highly materialistic and full of aspiration. Fashion and entertainment are high on their priority list. They are fast paced and greatly influenced by advertising. They do not believe that old ways are always the best, they are often first to try out new things. They love variety and choice. Global Citizens represent innovation, wealth and technology. They live busy lives and seem to thrive at the next challenge. They do not like to be restricted by tradition and believe in equal opportunities for both men and women. This group of people is well travelled and therefore has a broad outlook in life. Summary: A young couple move from the East Coast township of Umlazi to the suburbs of Umbilo and are inundated with friends and relatives looking for a freebie. Summary: Youth drama set in any urban centre in South Africa which closely reflects the lives, struggles and joys of 8-12 year olds in our changing society.